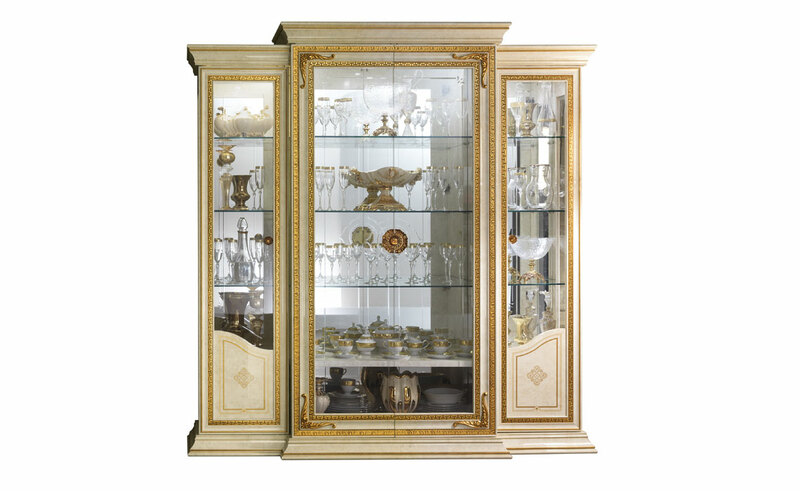 The Leonardo display cabinets are a must-have in any home, showing to the full – as it does – the value of artisanal decoration. The two volumes which intersect to form the front are an example of craftsmanship and unique quality, as are the frames bordering the bevelled glass and gold leaf finial. The handles at the centre of the composition become jewels, chiseled to the smallest detail and precious as only special objects can be.